In four weeks, fragrance lovers from around the world will gather in New York City for a perfume extravaganza known as the Sniffapalooza Fall Ball. I'm often asked what happens during these scent filled weekends and why I continue to go. Here's my account from one of the days from the most recent Spring Fling to tell you why and encourage you to sign up for Fall Ball! The annual Sniffapalooza Spring Fling is a two day weekend extravaganza of the most fabulous fragrances. Day one is the "uptown day," spent mostly at Bergdorf Goodman, Henri Bendel and The Plaza, at the Krigler perfumery. Day two is the "downtown day," with visits to independent perfume boutiques in Soho and the West Village. The day starts at Molton Brown in Soho. 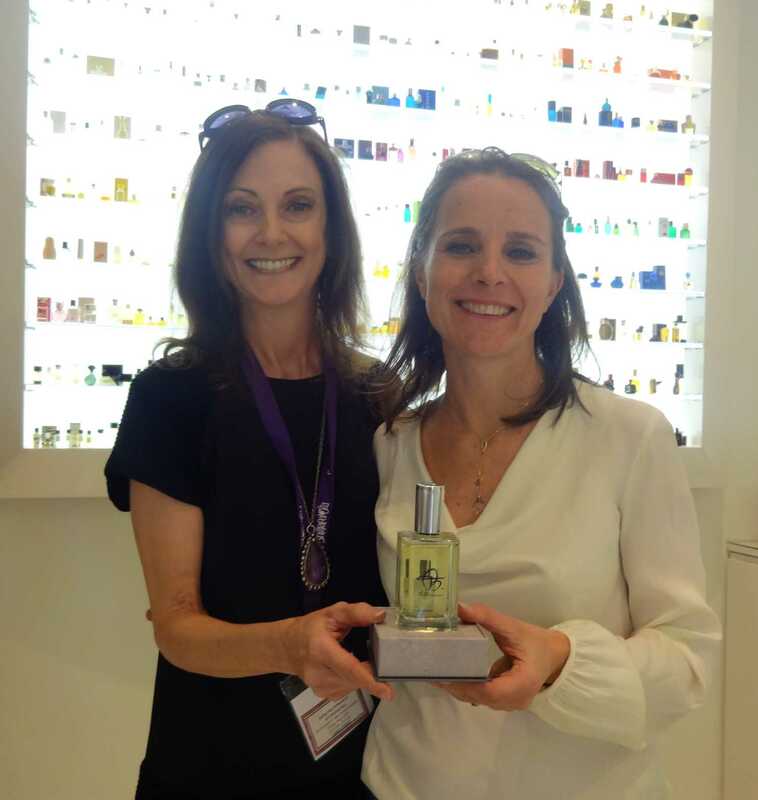 Two years ago Molton Brown kicked off its line of fine fragrances at Sniffapalooza, and each year we've been invited back to experience a new addition to the line. Today it's Mahina, a journey to London via Tahiti. The scent notes warn "may contain sunshine." It conjures up lazy summer days. The Molton Brown goodie bags are always generous as is the gift with purchase. I always stock up! Next, a debut stop on the Sniffa itinerary, at the new perfume boutique Osswald. 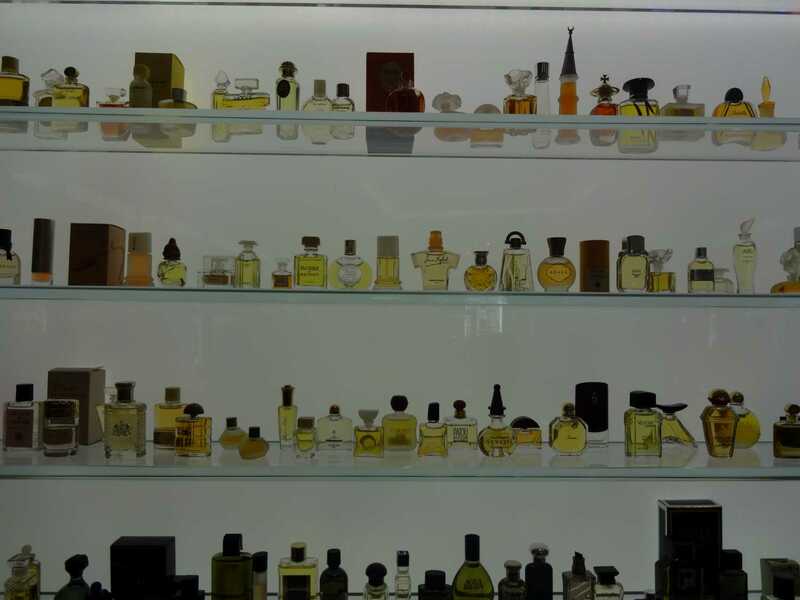 Here they carry small, hard to find lines such as Profumum Roma, Parfumerie General, Nicolai and biehl.parfumkunstwerke. We had a special treat waiting for us, a personal appearance by biehl's creator and owner, Thorsten Biehl, who joined us from Germany, and one of the perfumers in his "gallery," Patricia Choux. "I am a gallerist," Thorsten tells us, explaining, "I work with perfumers as artists. I don't tell them what to do." Think of him as an art gallery director. He gives his olfactory artists the opportunity to create the scent they really want to create, with no restrictions on ingredients or budgets. "I know that perfumers have their own private stash of perfumes created for themselves and those are the fragrances I'd rather ask for." 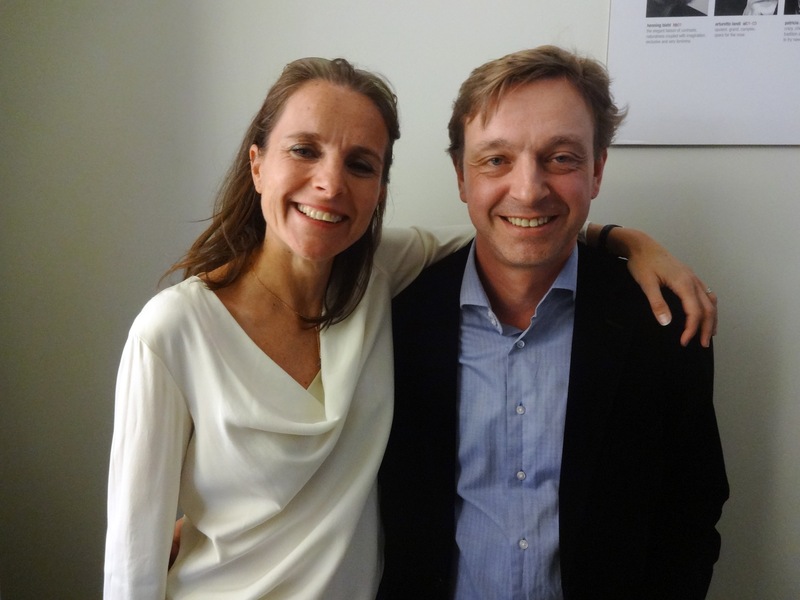 Thorsten allows the perfumer to bring that scent to market that otherwise would never go into production. He doesn't want to have a line of perfume based on market research and trends, or one that smells like every other scent out there. Thorsten comes from a fragrance family. His father Henning was a perfumer, and also taught perfumery. In fact the Biehl gallery includes a work from Henning Biehl. His mother also worked for a perfume company. Thorsten worked in the industry for 17 years, where he collaborated with many of the perfumers who now contribute their talents to biehl.parfumkunstwerke, which he launched in 2007, including Patricia Choux. He says, "they all learned in Germany, and even if they're from France England, Italy they still have the German school of perfumery." Thorsten says that basically five corporate conglomerates own 80% of the international perfume market. Nowadays most mass market fragrances undergo rounds of market testing before they're ever released. There are hundreds, even thousands of perfume launches every year. Then they are given only a very short time to succeed or fail. Thorsten also says there's more emphasis put on the supermodel and marketing campaign and the development of the bottle than there is on the juice inside. There's no focus group testing at Biehl. Instead Thorsten's goal is to "present a collection of unusual, distinct compositions for the true perfume lover." He works with six noses who have created a series of scents for the biehl.parfumkunstwerke line. Thorsten also feels there's too much emphasis placed on the name of the perfume, so all the fragrances in his gallery are named simply by the perfumer's initials and a number, as in PC01 for Patricia Choux's first scent. Patricia feel in love with perfume on family vacations in the south of France when they would visit Grasse. "When I was nine I knew what I wanted to do," she says of becoming a perfumer. Travel still influences her, and trips to southeast Asia where the tiare flower blooms were the inspiration behind PC01 for biehl.parfumkunstwerke. She wanted to play with tiare in a way that was light and fresh, so she added notes of mango leaf. "When you eat a mango they are delicious and tasty, it's almost like coconut for me, sometimes coconut orange, so I've been trying to translate this as a perfume." Thorsten says of PC01, "I think what we've done here is an emotional statement. You think of a cold November morning before work; you spray this on and then you smile." Her second scent, PC02, was born out of a love of vetiver. She added patchouli, labdanum and vanilla to round it out. This scent is surprising to me because it's a scent I can't get enough of. I first tried it in Berlin last summer, but didn't buy a bottle and regretted it. Getting smell it here again I know I have to have it. It is intriguing and complex and I can't stop smelling. But I'm not really a vetiver or patchouli fan at all, but I love this scent! PC02 is marvelous creation. Patricia says working with Thorsten and biehl is a wonderful opportunity. "It's more open, it's creative if we've got a good idea that we strongly believe and love but can't find space in the market, well with Thorsten now there's a chance." After Osswald it's a mad dash to open houses at Le Labo, Atelier Cologne and MinNY, all before lunch. At Le Labo they've just launched an addition to their city series, and one of the new ones is for San Francisco. Called Limette 37, it really does smell like the city by the bay - with a breezy, airy zest to open that warms up to a spicy heart, just as if the fog had rolled out. It's San Francisco on a beautiful sunny blue sky day. Atelier Cologne is a precious shop, with beautiful cologne scents. I'm crazy for Sous le Toit de Paris, while not the newest scent -- Mistral Patchouli is that -- I love the violet, geranium, tonka bean and while leather notes, and I love that it was created to celebrate the 100th anniversary of Galleries Lafayette in Paris, one of the most amazing department stores ever. It's name is inspired by the beautiful glass dome that is the store's landmark. 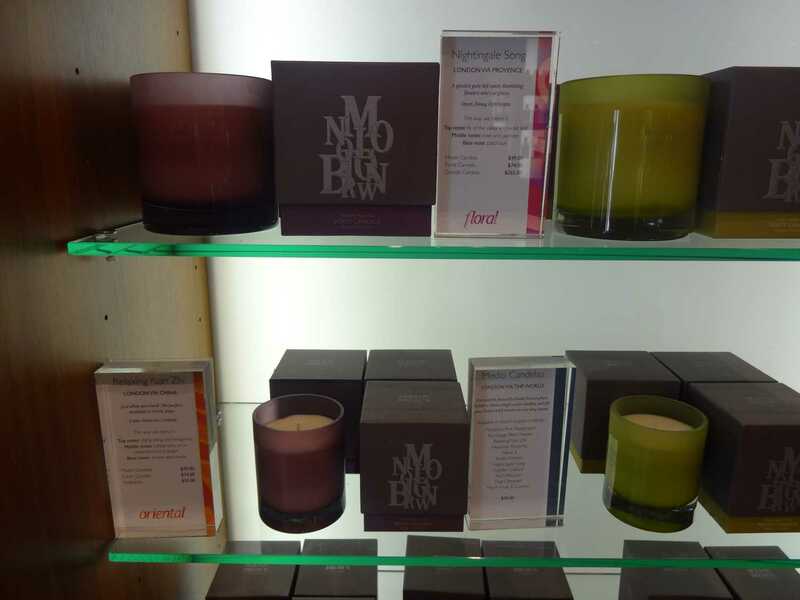 Min New York is a perfume boutique, carrying a completely different selection than Osswald, including Laboratorio Olfativvo, Andy Tauer, Mona di Orio and Keiko Mercheri. They also carry The Vagabond Prince, the indie perfume company that launched The Enchanted Forest, a black currant-based fragrance to Sniffapalooza the day before. The one line I was there to seek out is Kerosene, a distinctly different perfume line, launched by a former motorcycle mechanic based in Detroit. A fragrance from the Motor City you say? The nose behind Kerosene is John Pegg, who is known in perfumista circles by his fragrance reviews on his YouTube channel Kerosenetrewthe. The line has a definite edgy, irreverent feel to it, something entirely different. I mean, a fragrance based on oil gear and garage and smells? I love the bottles, painted with automotive paint - they are colorful but also gritty and the names are stamped onto a metal plate. Not so pretty. It's a line that challenges but is also very wearable, at least in my opinion. For a line with a rough and tough images, Kerosene does pretty florals exceedingly well, albeit with a twist. Take Pretty Machine, the newest fragrance. It's a fresh floral bouquet, really a floral dream, but it has a zesty top note from citrus. R'oud Elements, the first perfume launched, you sense the smell of the road as the hot sun beats down on the pavement. The name is also a clever play on the word "oud," which is one of the notes in the scent. Fields of Rubus is fruity but also smells like the best baked cherry or raspberry pie. Copper Skies is definitely an amber, but not a sweet amber. What makes it stand out is the addition of basil, an unconventional, unexpected note and then clove pops up to give this a warm, long finish. Next up is lunch, where the Eau de Sniffapalooza takes center stage. This is a showcase of new and emerging talent in the indie perfume world and is not to be missed. I'm always inspired by the creative concepts that people dream up, or smell up, I should say. One of the last stops of the day is in the West Village, where there are many small perfume boutiques now, from Bond No. 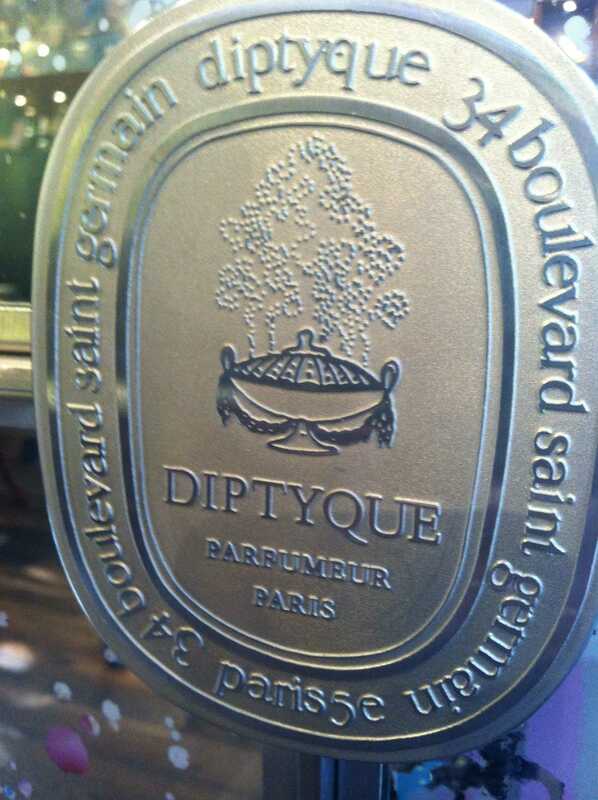 9 to Fresh to to Diptyque. Diptyque has the most precious jewel box of a shop, with a silvered ceiling and chandelier made of Diptyque glass candle vessels. Eau Moheli is the latest scent in the Diptyque portfolio, a mesmerizing ylang ylang blend. It's not at all obvious that this is Ylang Ylang; it has a sunny, spicy aroma that I don't usually associate with Ylang Ylang, a sweet, heady yellow flower. My two all time favorites, however, remain Do Son, a fresh tuberose, and the house signature 34 Boulevard Saint Germain, a warm, woodsy and spicy unisex blend that celebrates Diptyque's 50th anniversary.